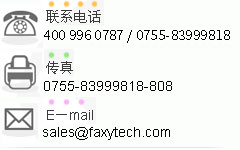 FI-3000 FiberInspector Pro 提供了广泛的功能，让您可以轻松且高效率地测试 MPO 光纤干线。The multiple camera design provides an instant Live View with simple touchscreen gestures to move from full trunk to individual endfaces in real time. Automated pass/fail results in seconds. 将结果保存在手机上并通过短信或电子邮件分享，也可使用业界领先的 LinkWare 平台保存完整的项目报告，包括铜缆、光纤损耗、OTDR 和端面图像*。紧凑、符合人体工程学的设计和自动对焦，让您可以舒适地测试成百上千的线缆或端口。 *Single fiber and Versiv support available second half 2019. FI-3000 独特的设计让您能够方便地检查闷头和干线。紧凑且轻巧 (326 g / 11.5 oz) 的设计让您可以每日舒适地使用。内置 PortBright? 照明让您在昏暗的数据中心或接线柜中的密集接线板中也能轻松找到正确的端口。All FI-3000 models include a holster which provides convenient access to the camera as well as storage for inspection tips and a Quick Clean? cleaner. 如需在新安装或升级项目中安装多个 MPO 干线，FI-3000 可与 Versiv 线缆认证系统集成，从而快速、无差错地管理项目和制作报告。Versiv 的 ProjX 管理系统让您可以设置各个作业，包括线缆类型、标识符、所需的测试和限值。技术人员可以使用相同的平台进行损耗（层 1）、OTDR（层 2）测试和检测，降低培训成本和出现错误的几率。FI-3000 通过 USB 线连接 Versiv。 Versiv 配有高分辨率大显示屏，可让您清晰地查看结果。使用手势的 Taptive? 屏幕可以轻松地平移或放大和缩小实时图像。 FI-3000 还可搭配 Fluke Networks LinkWare 使用 – 这是线缆系统文档管理的行业标准。LinkWare 让您可以将层 1、层 2 测试和检测结果整合到一份报告中，从而完整地记录系统中的所有链路。云版本 LinkWare Live 让您可以方便地使用智能手机或计算机跟踪作业进度，并与客户共享结果。 *Versiv support available second half 2019.